VTech KidiJamz Studio Just $29.99! Down From $60! You are here: Home / Instagram / VTech KidiJamz Studio Just $29.99! Down From $60! This VTech KidiJamz Studio is now on sale at Kohls for just $29.99 down from $59.99 when you use promo codes TOPTOY20 and DEAL25 at checkout PLUS FREE shipping for orders $50 and above! KidiJamz is a unique creative music studio designed especially for younger children. With KidiJamz, kids can rock to their own beat! KidiJamz is an interactive music station that lets kids record their own songs and music and play it back on a detachable music player. Music mixing is a snap with 20 kid-friendly tunes. To find their own beat, kids can choose from 10 different instrumental sounds, five musical stylings, and three rhythm buttons. 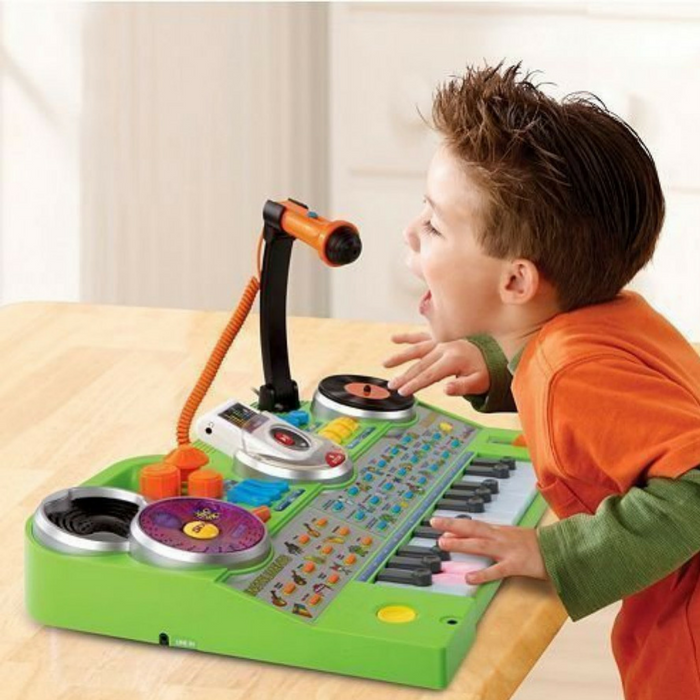 Adding to the fun, kids can sing to their hearts’ content with the included microphone and digital voice effects. A musical scratching disc and light-up keyboard round out the fun. Interactive music station lets kids mix music with 20 kid-friendly songs for DJ fun. 10 instrument sounds, 5 musical styles and 3 rhythms for play variety. Microphone and digital voice effects.